Authorized Retail Dealer of a wide range of products which include double universal joints and universal joints. 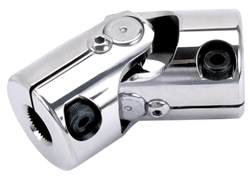 Double Universal Joints provide a simple & economic method of connecting shafts whose axes are inclined at an angle. They are also used when angle varies during rotation, eliminating the need for the complicated expensive machines usually associated with this type of application. 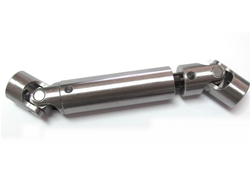 Universal Joints provide a simple & economic method of connecting shafts whose axes are inclined at an angle. They are also used when angle varies during rotation, eliminating the need for the complicated expensive machines usually associated with this type of application.